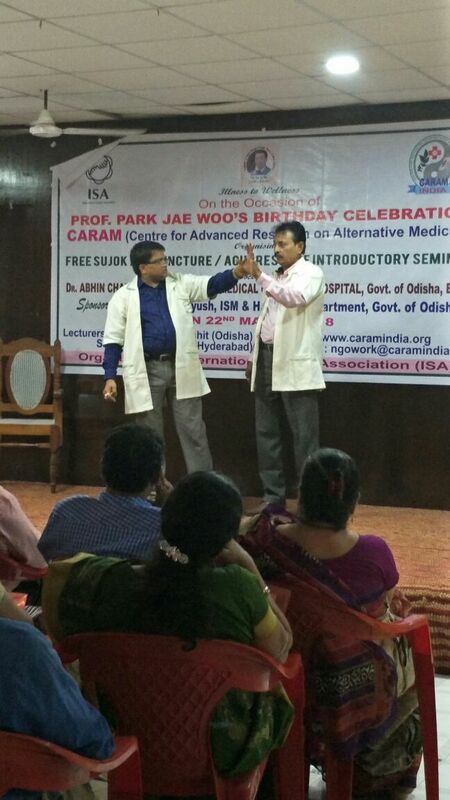 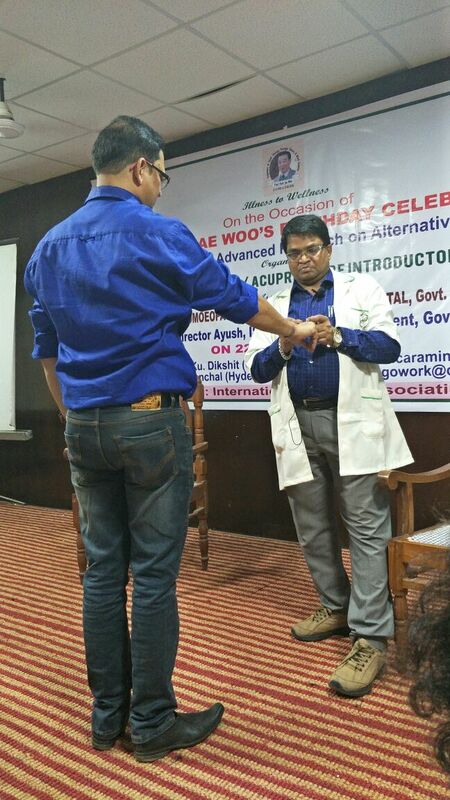 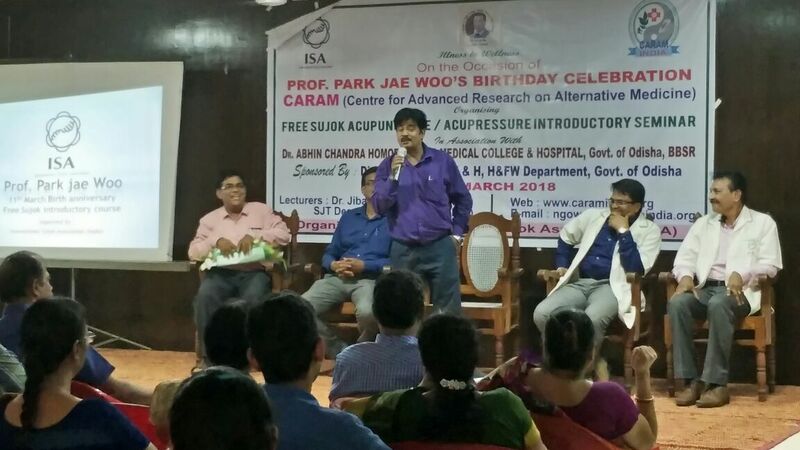 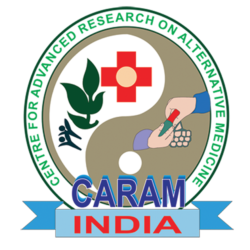 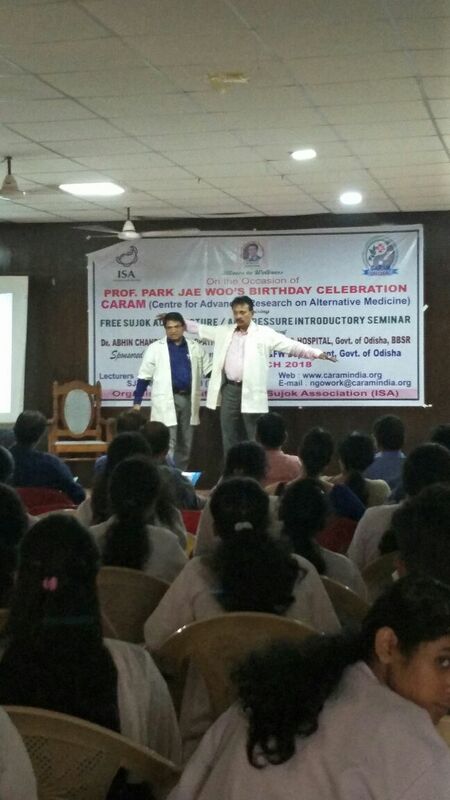 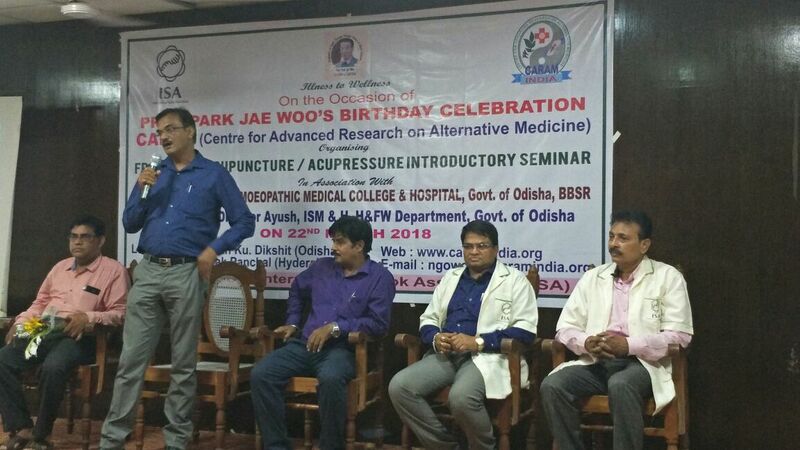 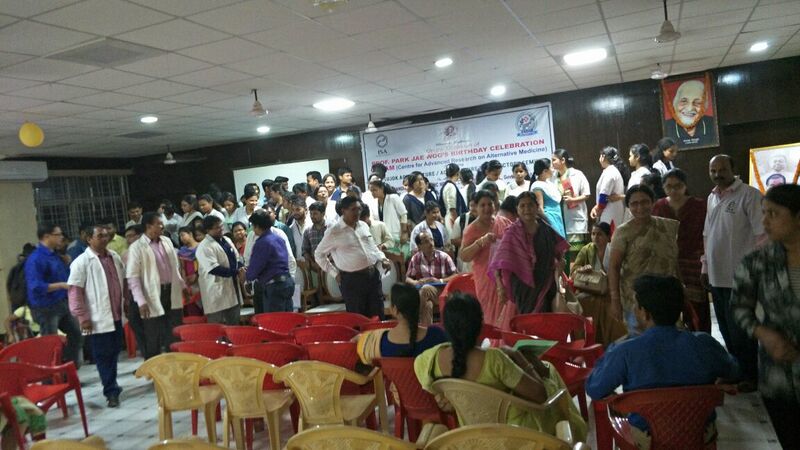 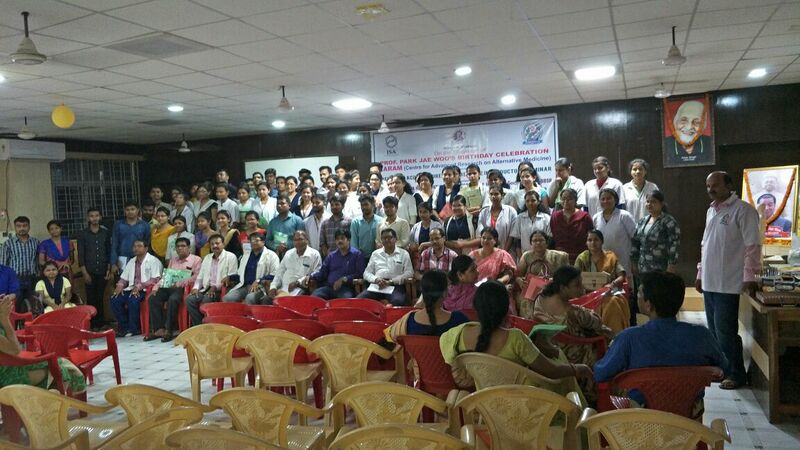 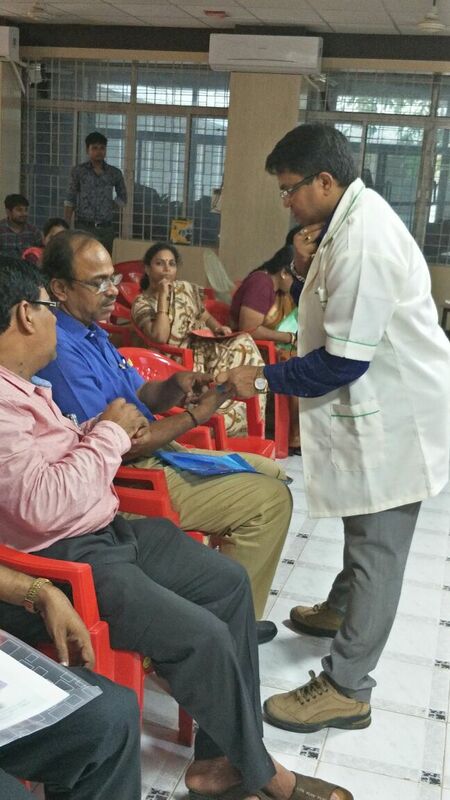 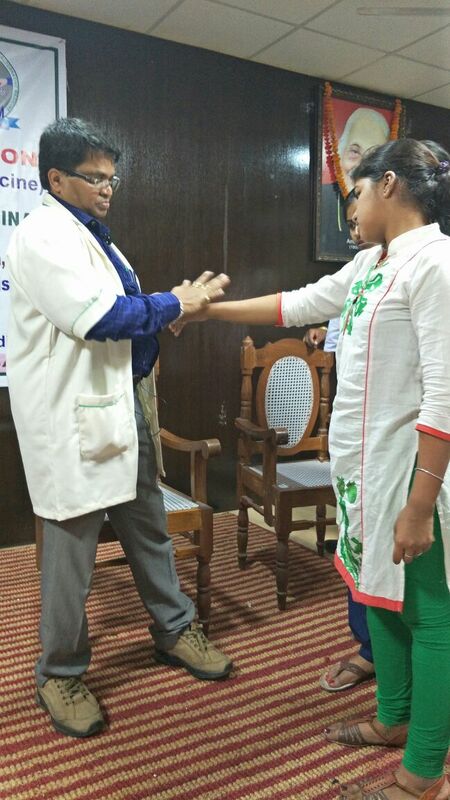 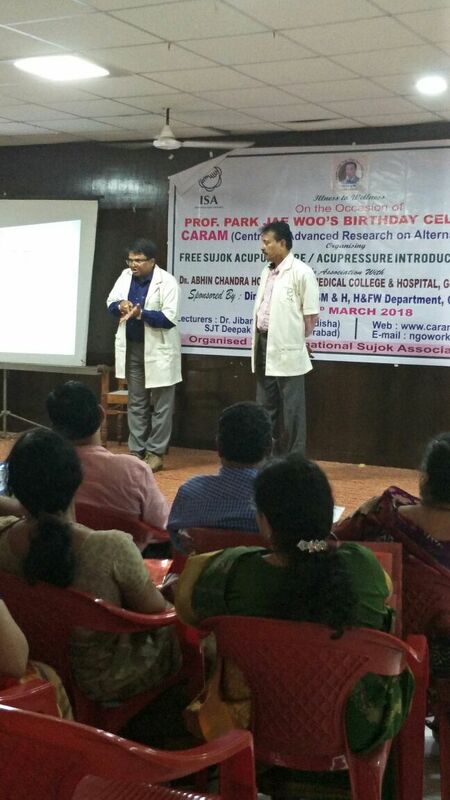 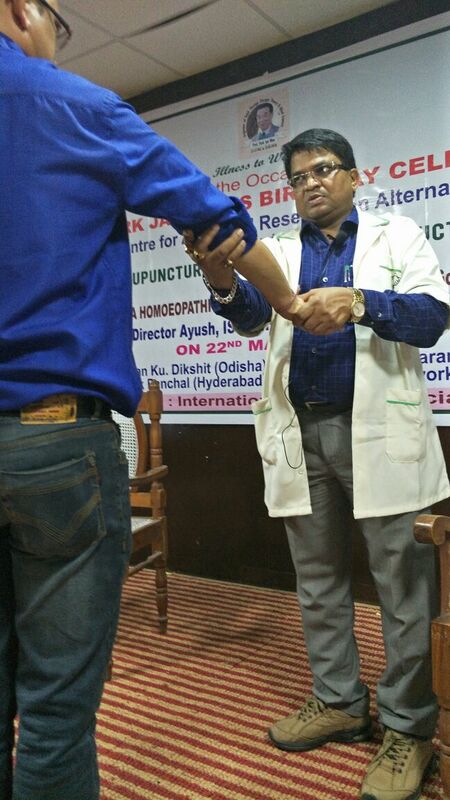 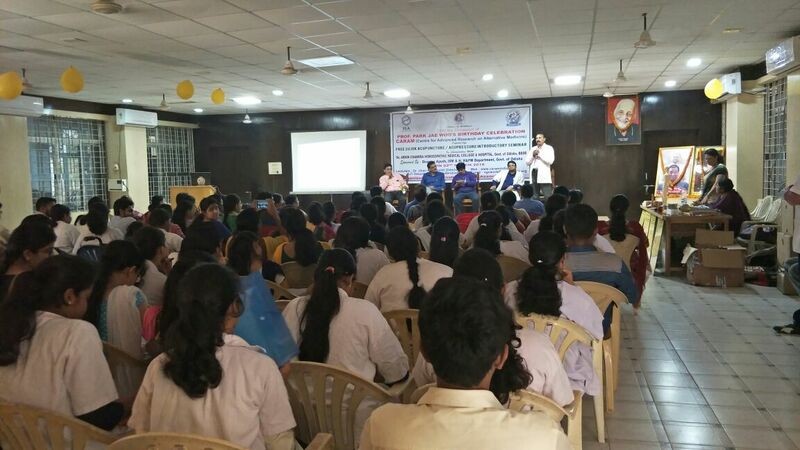 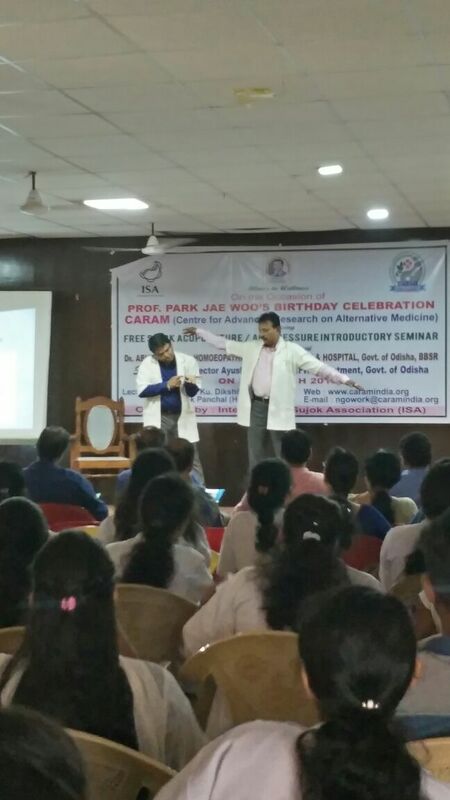 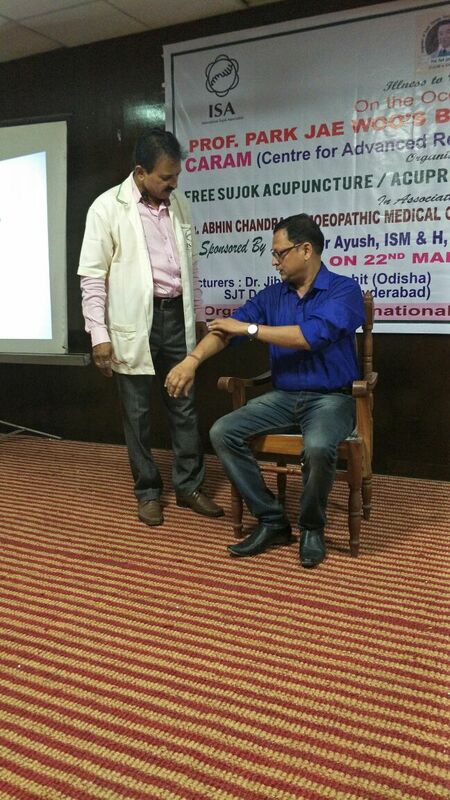 CARAM (Centre for Advanced Research on Alternative Medicine), An NGO, organised and gave training and treatment at camp at Dr. Abhin Chandra Homeopathic Medical College and Hospital, Unit-III, Kharvel Nagar, Bhubaneswar, on 22-03-2018 where 100+ people came and attended and feel the effect of such magnificient therapy “Su Jok”. 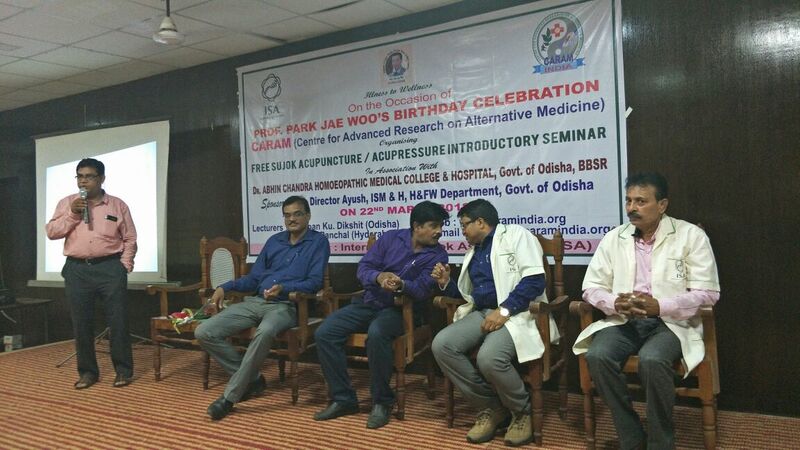 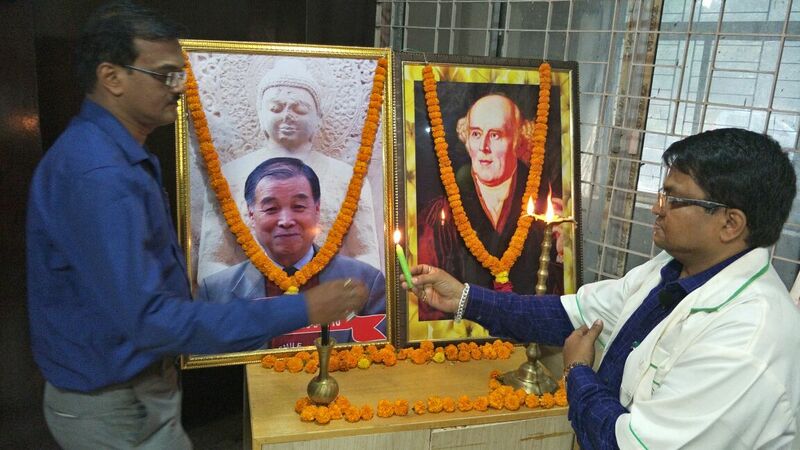 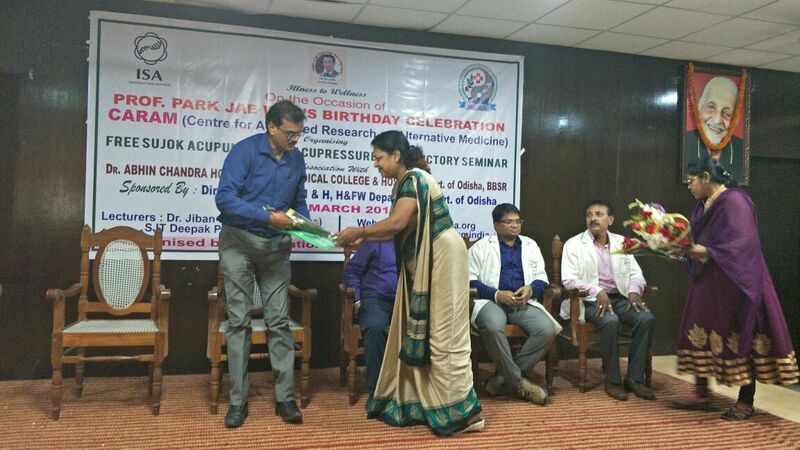 This camp was organised to mark the birth celebration of our beloved professor Park. 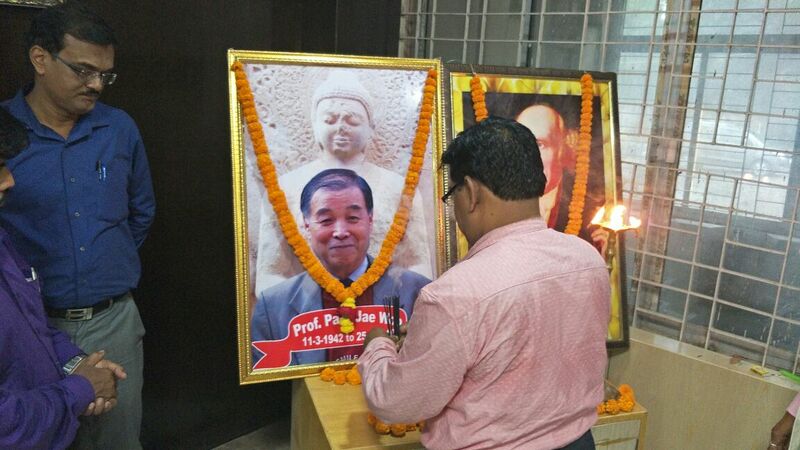 Jae Woo (11th March 1942-25th March 2010). 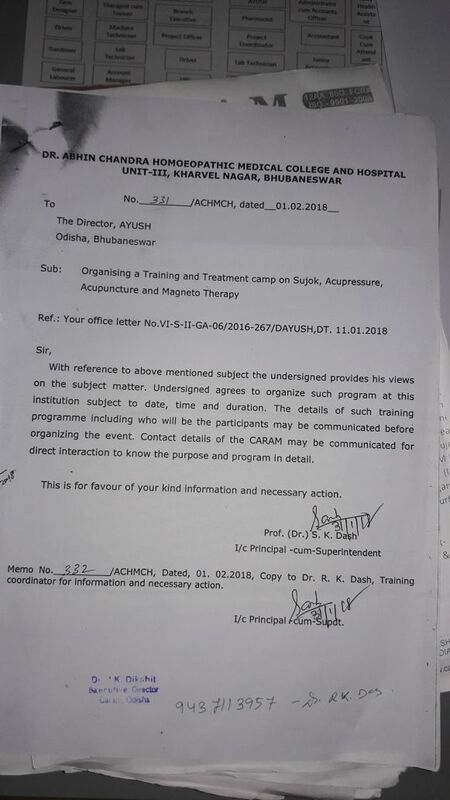 Treatment and lectures were given by Dr. Jiban Kumar Dikshit & Mr. Deepak Panchal, who came all the way from Hyderabad for supporting the camp.